Working with the skilled photographer Sam Joyner, my good friend and great editor and writer Suzanne Wallis has just produced ART DECO TULSA, an ode to Tulsa’s Art Deco buildings and the people who made them. Read all about it HERE. 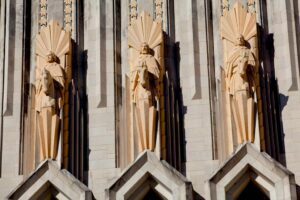 Boston Avenue METHODIST CHURCH HAS A ZIGZAG FORM OF ART DECO ARCHITECTURE. Although he died much too early, Brandon Jenkins left an indelible mark on everyone who heard his music. 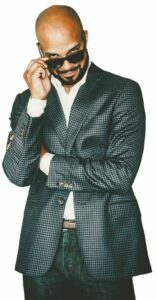 My latest OKLAHOMA Magazine column, celebrating Brandon and his work, can be found here. 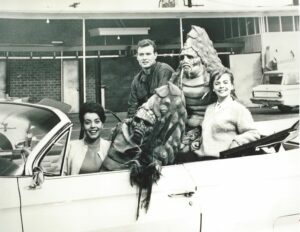 There’s a new band in Tulsa whose roots stretch back to a famous local theatrical production. You can read my OKLAHOMA Magazine column about the Retro Rockets — whose schtick is doing a nostalgia show about a nostalgia show — here. 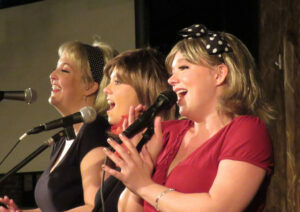 Denise Hoey, left, Gayle Wolfe and Anna Neal are some of the vocalists for Retro Rockets. 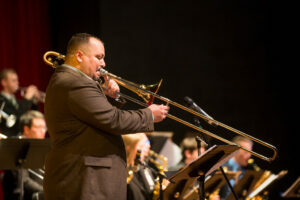 Noted jazzman and educator Tommy Poole has put a Grammy-winning trombonist together with several of his most talented OSU students to create a brand-new CD. You can read all about it here. 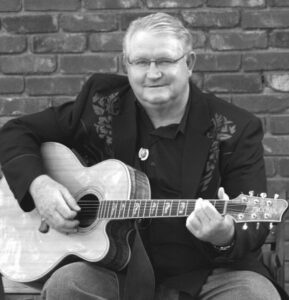 Oklahoma musician Jay Lankford has played and toured with, among other recording acts, the late country star Johnny Duncan. He’s called upon those experiences with a years-in-the-making novel he’s just published. Jay is the subject of my latest OKLAHOMA Magazine column, and you can read it HERE. 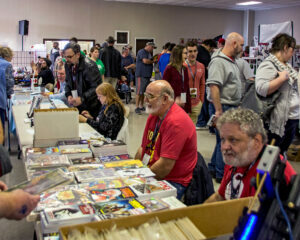 Pryor, Oklahoma may seem an odd location for a comic-book convention that drew hundreds of people last year, but a closer look reveals that it’s actually just right. Read all about how a couple of cousins, both named Jim Tramel, figure into the proceedings in my newest OKLAHOMA Magazine column, found here. The legendary country-music impresario Jim Halsey — with whom I have had the pleasure of co-authoring a couple of books — reflects on the holidays, some of his famous clients, and his one-of-a-kind collection of show-biz memorabilia in my OKLAHOMA Magazine column this month. You can read it here. Barron Ryan of Tulsa is a breathtakingly good piano player who just about ended his career trying to reproduce Art Tatum’s knuckle-busting 1933 version of “Tiger Rag.” You can read all about that, as well as learn his unorthodox approach to jazz music, in my OKLAHOMA Magazine column for November, available HERE. I’m very glad to be a part of what is, at this writing, Amazon’s No. 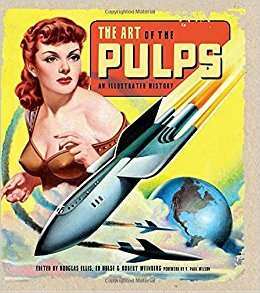 1 bestseller in the Antique & Collectible Magazines and Newspapers category: IDW’s THE ART OF THE PULPS: AN ILLUSTRATED HISTORY. Edited by my pals Doug Ellis and Ed Hulse, along with the late Robert Weinberg — all top-tier names in the pulp-magazine world — it’s getting some really enthusiastic reviews. I was happy and honored to be able to write the section on detective pulps, as well as to appear alongside such pulp-scholar notables as Michelle Nolan, Laurie Powers, Will Murray, David Saunders, Mike Ashley, Tom Roberts, and Doug, Ed, and Bob themselves. It would be a terrific book without my contributions, but I’m sure delighted I got to be in there. If you’re at all interested in pulp literature, check out THE ART OF THE PULPS on amazon.com. And while you’re there, take a look at HARD-BOILED CHRISTMAS STORIES, the perfect seasonal reading, featuring classic stories of Yuletide homicide plus a new Dan Turner, Hollywood Detective story by yours truly.